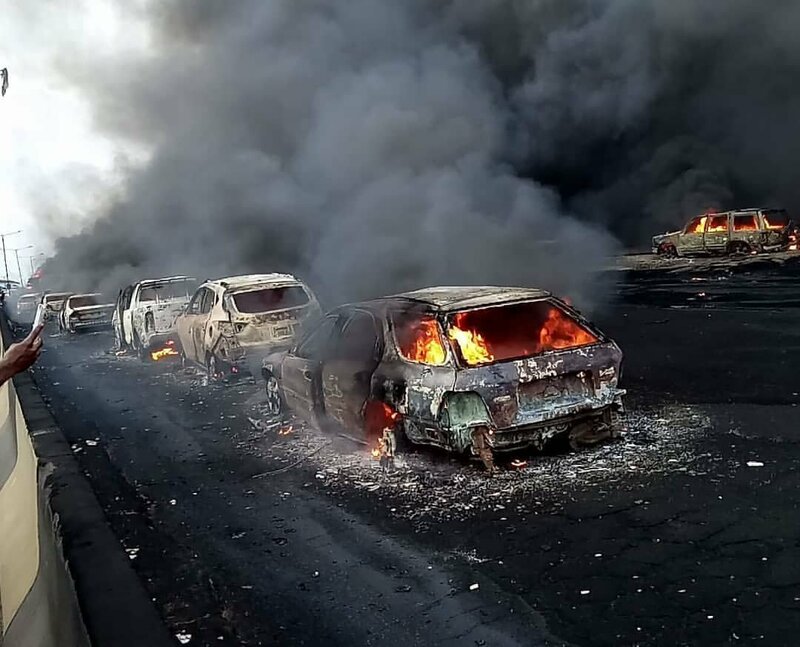 ​Many people are belived to have been killed as a fuel tanker exploded on Otedola Bridge in Lagos on Thursday afternoon. A number of persons are also trapped in their vehicle as the inferno is still raging. Nine lives were lost and fifty-four cars were destroyed by the fire.